These have got to be one of my all time favorite cookies! There is just something about peanut butter and butter together in a recipe that sends my taste buds soaring! Not to mention the fact there is the added Reese's Peanut Butter Cup sinking in the center of each cookie...LUV! Add the sifted flour mixture to the butter/sugar mixture and mix well. Roll dough into 24 balls and press into the bottom of two regular sized, paper lined muffin tins. Put in the oven for 8 to ten minutes. Unwrap 24 regular sized Reese's Peanut Butter Cups. 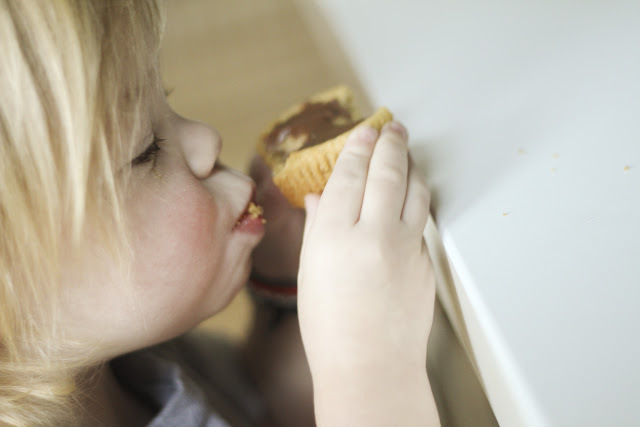 Once the cookies are out of the oven press a peanut butter cup down in the center of each! Eat warm or cooled off! On the off chance you end up with leftovers, store in an airtight container! 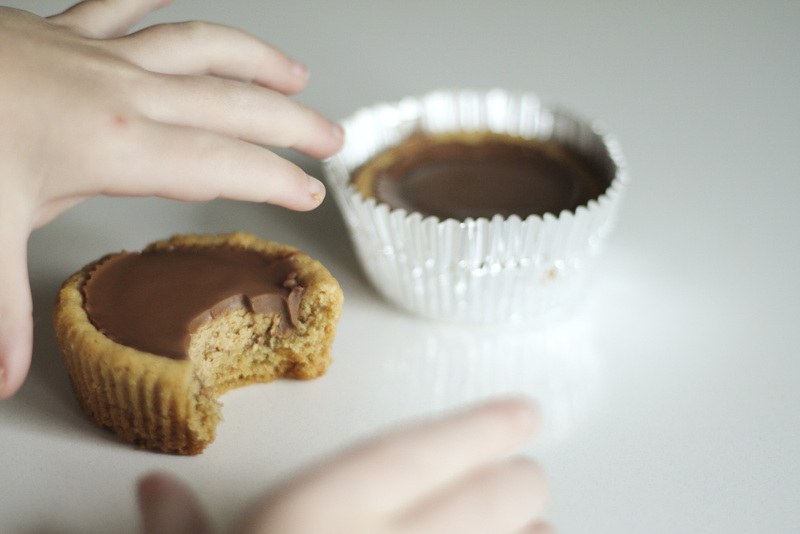 Side note: You can also make this recipe go further by using mini muffin tins and peanut butter cup miniatures. You will end up with 40 small cookies doing it this way. These are my favorite! I love how quick and easy they are!